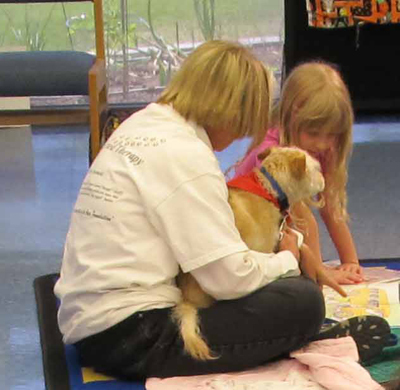 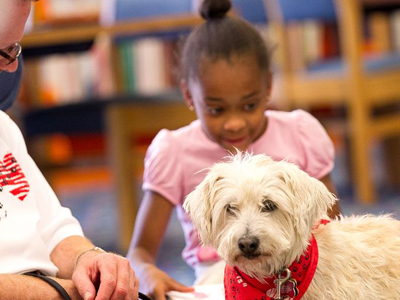 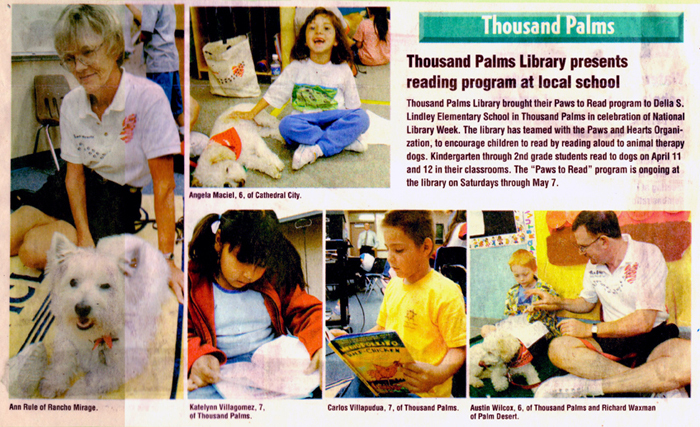 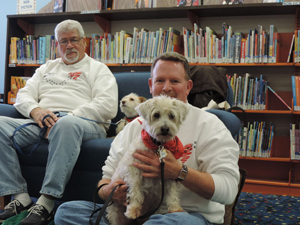 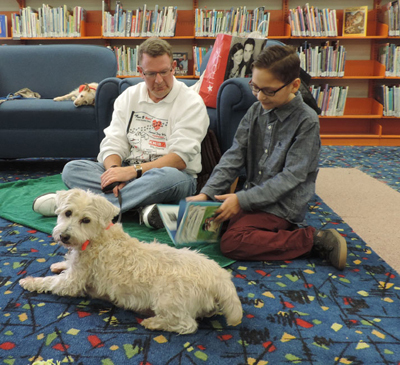 After close to 15 years of providing both the Thousand Palms Library and the Palm Springs Library our Paws to Read program, as of December 2016 we are going to retire it for now. 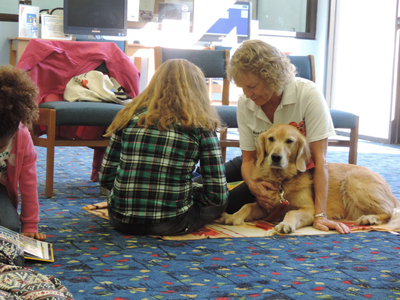 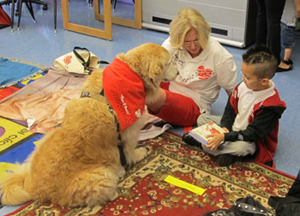 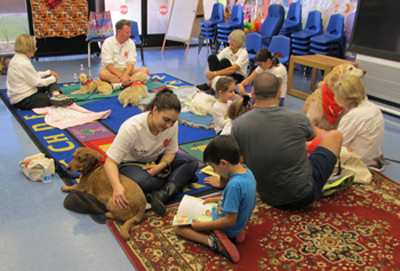 We've made a lot of wonderful memories from working with children to hopefully improve their reading skills, but it is time we gave the Canine Ambassadors and the human volunteers a break. 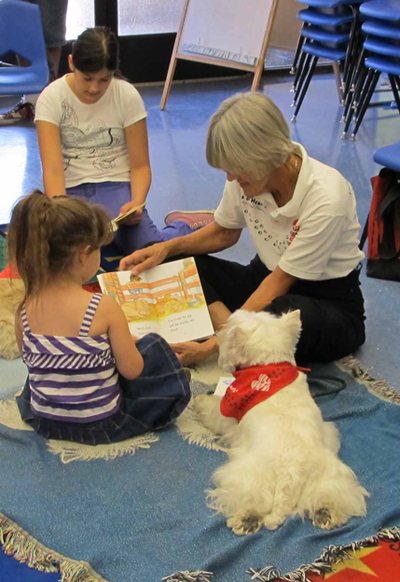 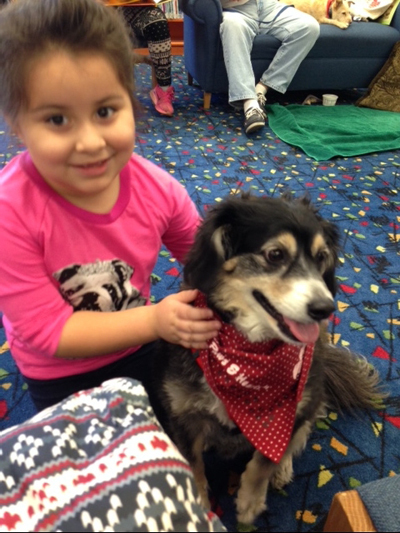 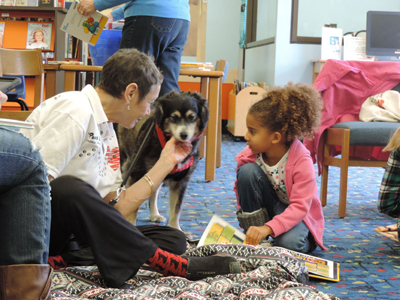 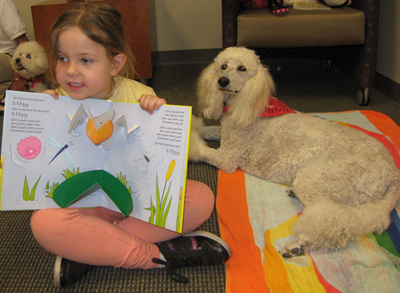 We thought we'd share some archival photos from the very start of our Paws to Read program. 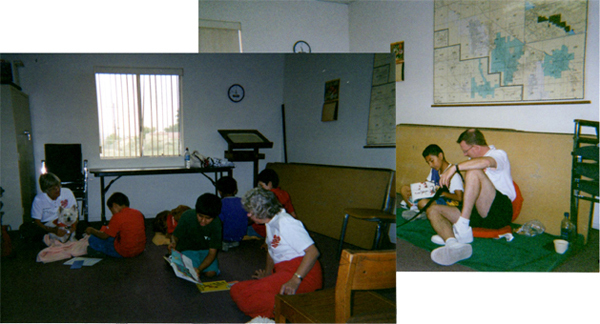 Here we are in the back room of the Thousand Palms Fire Department, that used to house the library until one was built. 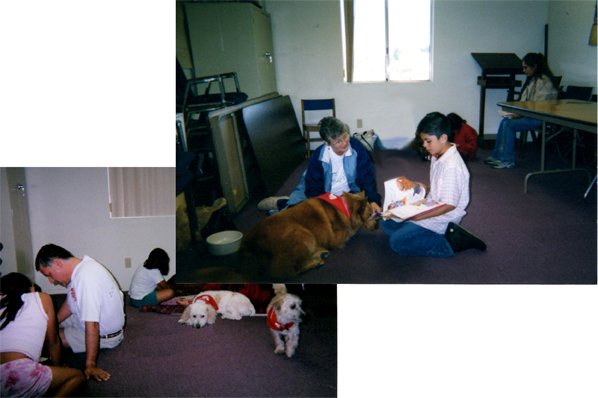 Many happy memories with "Gus," "Lucky" and "Scruffy."